Everyone knows that the Obama administration has been steadily gearing up for a military campaign against Syria. Everyone also knows that Russia and China do not want to see this happen. Now Russia and China are sending military forces to Syria. It is being reported that Russia, China, Iran and Syria will be conducting the “Middle East’s largest ever military exercise” next month. Apparently tens of thousands of troops will be involved. This will be the first time that the Russians and the Chinese have jointly deployed large numbers of troops in Syria. 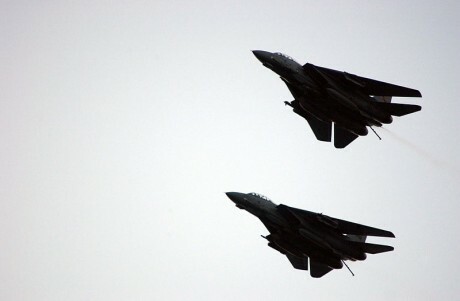 Will this show of military power be enough to prevent Barack Obama from bombing Syria? Or will Obama go ahead anyway and risk ruining relations with the Russians and the Chinese? Tensions are rising in the Middle East and the region is a powder keg that could erupt at any time. If someone makes the wrong move we could end up with World War III. A Syrian Free Army rebel delegation is now in Washington to talk about their requests for heavy weapons from the Obama administration. In their meetings with US Ambassador to Syria Robert Ford and the State Department’s expert on Syria Fred Hof, the rebel leaders handed in two lists for approval: types of heavy weapons capable of challenging Bashar Assad’s armed forces and selected targets of attack to destabilize his regime. The exercises would be carried out after Syrian troops had “cleansed” several cities where “armed groups” – meaning Syrian opposition forces fighting against government troops loyal to President Bashar Assad – were gathering. The report quoted an unidentified Russian naval source saying the amphibious ships Nikolay Filchenkov and Tsezar Kunikov, accompanied by the rescue tug SB-15, were “preparing for a non-routine departure” for Tartus, Russia’s only Mediterranean base. Needless to say, it was not a pleasant conversation. 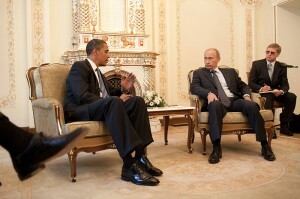 In fact, Putin reportedly was very direct with Obama….